What information about the vehicle must be included in the driver's logbook? Check any that apply. What information about the vehicle must be included in the driver's logbook? Check any that apply. Correct. 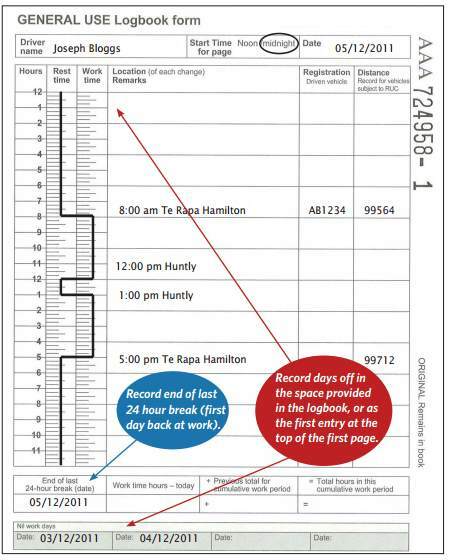 Each logbook entry will have your name, the date the logbook page starts on, the registration number of the vehicle and the start and finish distance recorder readings (if the vehicle you are driving is subject to road user charges), the start and finish times and the location for all your work time hours, and the start and finish times for all your rest breaks and where you took them.